It's Wednesday, which means we can start eyeing the weekend, and also that the Japanese chart results are available. Considering the results, some at Nintendo may be doing the former and getting in some strong drinks. The big release last week, from Nintendo's perspective, was Mario Party: Star Rush, on 3DS; unfortunately it hasn't prompted a rush to stores. Though the headline of joining the charts in 2nd place is good, the number of sales - 26,473 - is disappointing. For comparison's sake Mario Party: Island Tour on 3DS launched with 132,688 sales in March 2014, while the Wii U's Mario Party 10 managed just over 50,000 sales in March 2015. Whether this Star Rush outcome is the result of declining overall interest in the series, issues as the second entry on 3DS, or a mixture of factors, it can be argued that the new arrival has under-performed. Paper Mario: Color Splash continues to struggle, shifting just 7,784 units in its second week. You can check out the top 20 (with lifetime sales in parenthesis) below. Moving on to hardware, for some reason the PlayStation VR isn't even listed this week, but beyond that it was a quiet week with small drops for most systems. New 3DS LL (XL) remains in second, while the 2DS is doing reasonably well in 4th place. The Wii U is beating the PS3 (albeit with less than 2,000 sales), so if that's not worth having a Mario Party over then we don't know what is. We rather liked Mario Party: Star Rush in our review, but the game seems to have struggled to convince many people to part with their cash. Nintendo will no doubt keep the bubbly on ice for the release of Pokémon Sun and Moon in November. It really looks like everything is struggling. Hope its not a bad sign of a mobile game boost. Guessing it's just a lot of releases Japan doesn't go crazy for. It'll probably do better towards Christmas. It is a strange entry in the series, though one I like. Oh and Mario Party needs to die a quick death and disappear for like 5 to 10 years just like hopefully 2d Mario will! Sure what's new? My God, look at Wii U, continuing its slide down to XB levels. Won't be long now before it flatlines. Strangely enough, it's one of only 5 games that sold over 10,000 units. I think the gaming industry is really slowing in Japan, however, I don't think this chart include digital sales, which is where a lot of sales could've come from. I keep saying it, but they got the timing of Star Rush wrong... it's a summer game, not an autumn/winter game. Just wait for Pokemon Sun / Moon released and see what will happen. Just make a Mario Party similar to the N64 titles. It can't be that hard can it? That's what everyone wants! I'd much rather play N64 Mario Party than any other one. Hasn't Wii U been beating PS3 for awhile now? X1S almost caught PS3, and if you have to compare yourself to Xbox in Japan you might as well not even be on sale. PS3 has been on a decline for about 6 years now, beating that shouldn't even be mentioned, really odd. I still need to download Mario Party, thanks for the reminder. Or with formula like Wii Party. I catch a lot of fun from Wii Party. Also, customable Mii will appeals more. @Moon PSVR was in the chart last week, sold about 51,000 if I remember correctly. @Spoony_Tech I couldn't agree more, and I love Mario Party. Sometimes the best thing for a tired series is to give it a hiatus, then it can come back in a few years and feel fresh and like a throwback. 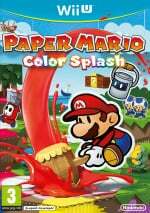 @Spoony_Tech As of next month, there hasn't been a new 2D Mario game in 4 years. It's definitely due another entry soon, and I'm hoping it's next year. @rjejr That was weary sarcasm on my part. @ThomasBW84 Oh sorry TW, I did consider that, but the part in the parenthesis about "albeit with less than 2,000" made me think you might be serious. I don't think my brain wanted to combine using "albeit" w/ sarcasm. My mistake. @Moon "Or perhaps they didn't sell any"
I actually considered that. Not b/c of lack of interest, but b/c maybe Japan only got 50k last week, sold them all, and they haven't gotten a 2nd shipment in yet? I think there are waits in other parts of the world now as well. I think at $400 Sony didn't expect to sell so many at launch. Who knows, maybe they will keep them out of stock until after PS4 Pro launches in a few weeks? @RyanSilberman I had actually forgotten about Super Luigi U, but I prefer to think of that more as (standalone) DLC for NSMBU. I personally don't count Super Mario Maker either. Well I had Mario Party Star Rush on pre-order since August but when I saw the new promo videos Nintendo just released for it, I was so disappointed in how it looked that I cancelled the pre-order. I might not ever buy it. To me it doesn't even look half as good as the previous 3DS version of Mario Party. Very disappointing. I'll still get a Boo Amiibo if I can find one, though. They should finally make online multiplayer for it. Sigh... this was to be expected. The 3rd Mario Party in a generation with lackluster Mario Parties, at a time when it's not the killer game Nintendo needs for the holiday, was never going to do well. @Christmas You liked Island Tour?! I found it to be one of the worst first-party Nintendo games on the system! @Markiemania95 @manu0 Ah no, I'm still counting Mario Maker as a 2d Mario game. It might not be a new 2d outing per say but it's still a new 2d Mario game. With 3DS being almost six years old, Wii U and PS4 doing medicore numbers and XB1 being a complete non factor it's no wonder sales are low. Let's hope what happened with dream team happens(IIRC dream team debuted at around 30K but actually rose in sales the second week and had several 20K+ weeks in a row.) because Star Rush seems like a notably better effort that Island Tour. Also advertising, and people disliking Island tour could be a factor in the sales as well. 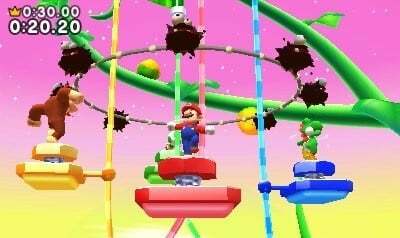 I for one initially dismissed Star Rush because recent Mario parties(especially Island tour) looked disappointing to me. But footage and more information has changed my mind and I will likely purchase my first Mario party since 8 come November. Mario Party will probably have some decent Christmas legs, but it's debut is nothing but underwhelming. Mario Part is one of those franchises where the 2nd entry on the same platform probably won't sell anywhere near as much as the 1st entry, especially when the platform is nearing the end of its life span. Pokémon Sun and Moon will launch in about a month. It will be interesting to see how much it sells at launch and throughout the holidays in Japan. My bet is 2.3 million copies sold at launch. Should easily be the biggest sales debut ever for a 3DS game. @TruenoGT maybe if they actually included more originality like Sunshine was giving the franchise, We wouldn't be in this dark age. People say Sonic strays too far from his roots while Mario is too CLOSE to his roots it's hurting him, "bowser kidnaps peach, save her!". @Spoony_Tech Actually, come next year, it will have been five years since New Super Mario Bros. U. Pretty crazy to think about! Unless you want to count the Luigi DLC, in which case it hasn't been hardly that long. Edit: Nevermind; I gotta start reading on before I comment! Can you play any of the recent Mario Partys online with strangers? There's been that many Mario Party games I think most people have just had enough of them. Time to leave it alone for a while and focus on something different. who the hell wants to spend $40 ( and in japan it costs more in that if you convert the currency ) on a party game with NO ONLINE, if theres a mario party on switch it better have online or it can burn to hell, thank goodness that mario sports collection game on 3ds which is coming out next year has online ! @ThomasBW84 Might help with the wearniess, don't forget AC update ND next Wednesday in Japan. Not much, but something to look forward to anyway. If nothing else, its sure to be humorous. 3DS game sales continue to shrink. Any idea when the AC:NL update is supposed to hit stateside? @k8sMum "Any idea when the AC:NL update is supposed to hit stateside?" Sorry, no. I haven't seen it mentioned anywhere since that 1 Japanese tweet. And I looked in Target today to see if they had the new Welcome amiibo box but they didn't. Even the Nintnedo website doesn't have it listed. The website says both "Fall" and "holiday 2016", both of which usually means Jan or Feb for Ntineod, they've never learned how to read a calendar. On a positive note the new series cards are due out December 2, so I think they'll get it out by then. Well I think they'll have the new boxes on shelves Dec 2nd, the update before that. I think NoA will re-announce on Monday a western version of that Japanese Mini ND also on Wed. But don't hold me to that. Ya, Mario Party did absolutely nothing exciting to draw me in. No online. Nothing really new or different (which would be fine if it was a Rank A game among the best on the system, in which case I am always totally fine with them keeping things the same because who wants to mess with a great thing). But when the game is already mediocre and you do absolutely nothing to make it stand out this is what you end up with. Hopefully Nintendo gets the memo that this is not the kind of game people are looking for right now. Not that the franchise is inherently unwanted but if you're going to make a game in the series, make it worth buying. Something about the core gameplay elements being copyrighted (I don't remember the specifics, I just know that Nintendo got the franchise name because of course while something else went to Hudson Soft) by Hudson Soft who was then bought by Konami. So after 8 and DS Nintendo found themselves unable to continue using the same style of gameplay (4 players @ 1 turn each, cut to minigame, repeat, I think that may have been the part...)and had to do something else if they wanted to keep the Mario Party spinoff name going. I personally think maybe it would have been better to let it quietly go away for a nice long nap, but opinions are cheap. @Markiemania95 Actually, it is Nintendo itself that considers New Super Luigi U as add on content for New Super Mario Bros. U in both its NA and UK site, so you're not wrong at considering it as such.